Science Fiction by the Best Writers in the Field—Who Also Happen to be Veterans of Their Countries’ Armed Forces—Selected by a New York Times Best-Selling Veteran-Author and a Hugo-Nominee Editor. Citizens is a new kind of science fiction anthology. The names appearing between its covers are not only veteran authors, among the very best in the field, they are military veterans as well. 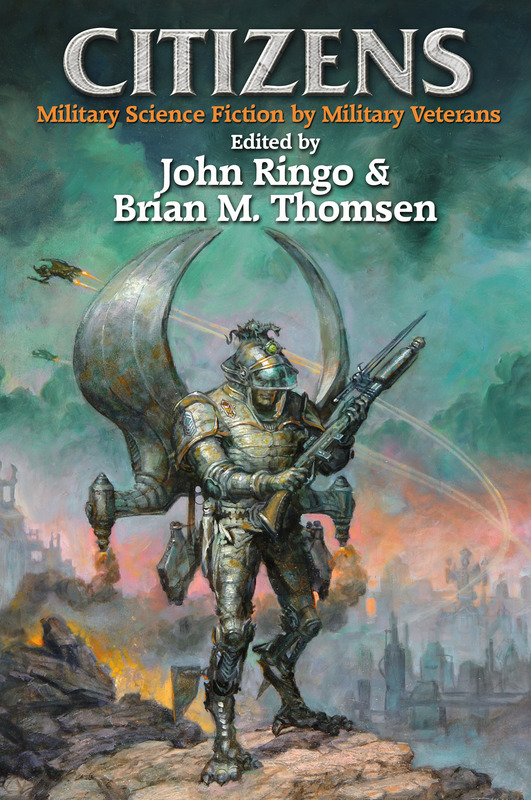 New York Times best-selling author John Ringo (a veteran of the 82nd Airborne) and Brian M. Thomsen, a Hugo finalist and one of the most respected editors in the field, have selected a treasure trove of gems written by writers who know first hand what it means to wear their country’s uniform.